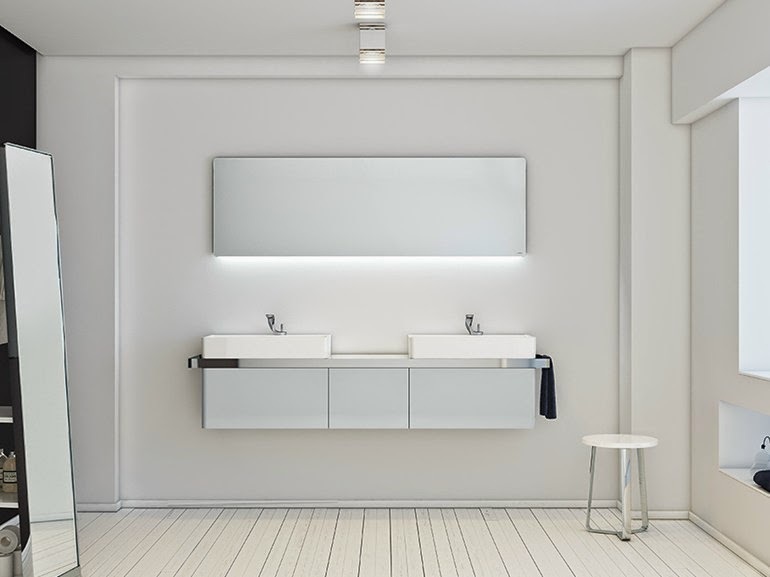 This mirror from Duravit is one of my favorite ones becase it doesn't only wors as a mirror and cabinet but it has LED lighting fitted in a subtle and elegant way. 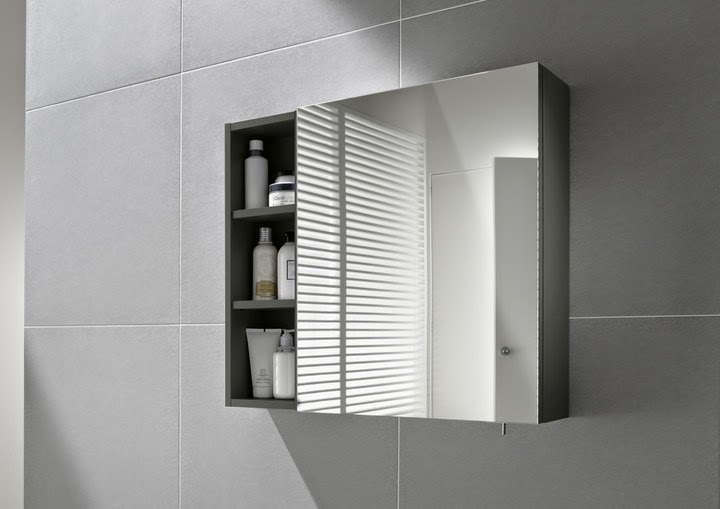 This is a bathroom storage cabinet with a unique opening system: a rotating mirror. When closed, it is horizontal mirror with clean lines. When open, it is a vertical mirror with shelving space. This is not as practical as the Delos but offers great flexibility and aesthetic design both open and closed. 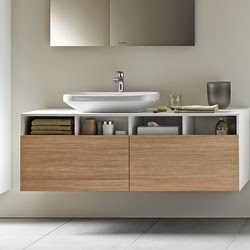 And another of our favorites is this cabinet with mirror designed by Andreas Strupple for Duravit. This cabinet not only has lighting features but it has a convenient shelf under the mirror. What we like the most about this collection designed by Sieger Design is the great amount of combinations that it offers. 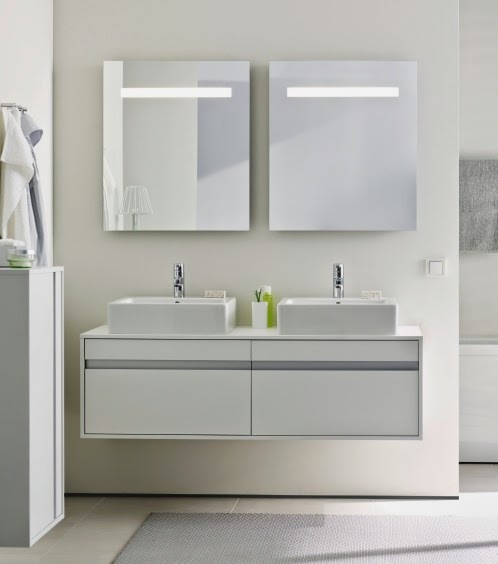 It is a modular system not only offers solutions for small spaces with a single module but it also offers great flexibility when planning the storage space in the bathroom. 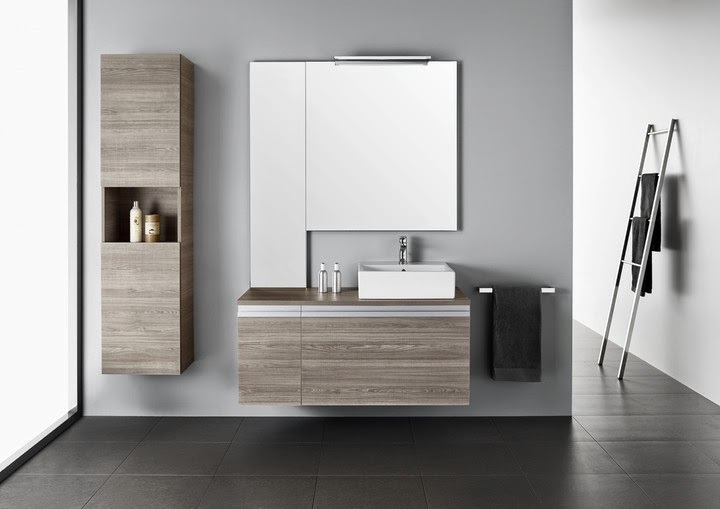 With moduls and drawers, shelves with doors, shelves without doors and just a horizontal board with a towel hanger, this collections is able to offer solutions for a great amount of spaces and budgets. And not only that, it also offers different type of finishes that range from white lacquered to different types of wood. Because of its simplicity, elegance and touch of color, this is one of my favorite collections. Strato is also a modular system that can adapt to any space. 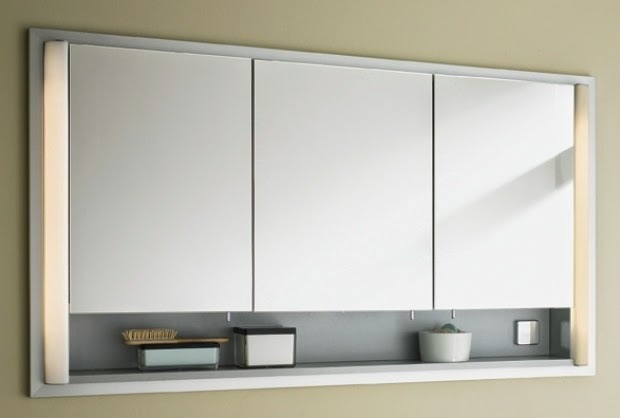 It offers standard modules with doors, drawers, sliding doors, shelves and mirrors. Moreover, you can choose different type of finishes: Natural Wood, Glossy or Matt Lacquer on MDF - waterproofing. And the tops can be made of Corian, SolidSurface or Tempered Optical Glass offering a wide range of options to customers and making of this a very versatile collection.